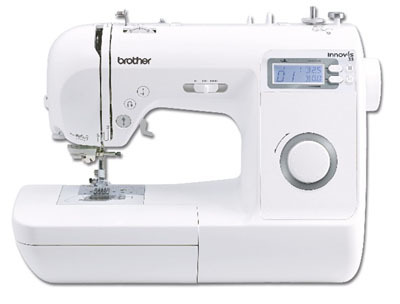 Win a Brother Innov-is 35 sewing machine! TechSoft Textiles are delighted to announce that they are offering these great all-round sewing machines as the national sponsors of the Young Fashion Designers UK competition. Six lucky winners, across the Midlands and Southern regions, will be awarded a Brother Innov-is 35 sewing machine and the teachers of the winning schools will also be offered a tailored training day courtesy of TechSoft Textiles and led by Heidi Ambrose-Brown, Textiles Manager, who also works as a Textiles Consultant and CAD/CAM specialist. 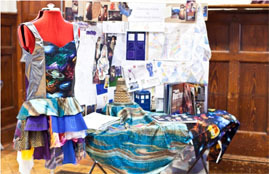 Heidi, will also be judging at the Midlands event on 4 July, commented , “I am looking forward to YFDUK 2015, the event will be a great opportunity for young people to show off their talents, share their ideas and inspire us all.” TechSoft Textiles will be exhibiting their range of equipment alongside exemplar work on the judging days at both regional events. For details about how to enter the competition go to www.youngfashiondesigneruk.com. The closing date for entries is Monday 1st June 2015.